Nokia has re-iterated that it's still on track to release upgrades to its two mobile operating systems - Maemo and Symbian, according to Michael Hsu, General Manager of Nokia Taiwan. Symbian^3 is coming first in a few months, which will bring cool upgrades like faster scolling, multiple home screens, a cleaner interface and multi-touch support to devices. It will also help push Nokia into the smartphone territory being explored by Motorola, Sony Ericsson and Samsung, by allowing support for HDMI out and large HD files too. 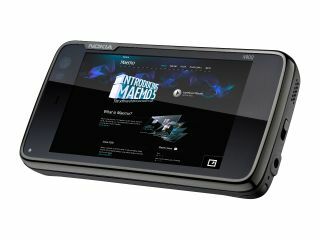 Symbian^4 is set to debut to developers at the tail end of this year, with phones based on it coming in 2011. This will feature even better UI options, with nicer photo galleries, cleaner interfaces and improved control panels. Maemo 6 (the successor of Maemo 5, used on the N900), will also be used later this year, likely in the second half for a UK release. Not much is known about this release, other than it will have a portrait mode, support multi-touch and work on capacitive screens (which Apple and Google have been playing around with for years already).